A lot of odd events occasionally show up on the AKB-Group Ticket Center. I wasn’t sure what this event was, despite the “Hori” at the beginning being a major clue. It wasn’t until I checked the details that I got really excited…. My first true oshimen, and I have not seen her since shortly after she graduated from SDN48 when I went to her Gravure DVD release event at Tower Records Shibuya. That was what? Six years ago??? This was the clincher for me. Not to mention Ishida Anna and Tomochin, two former 48-group members who I enjoy visiting would also be there. On the other hand, it had been quite a while since I had actually won a concert via the ticket center. So I was truly surprised when I got the winning email. I received a second surprise when I picked up my ticket and saw that I had entry #26. Diver City can fit over 2000 people, although I didn’t know how many people were actually coming, especially since the Horipro website said the show wasn’t sold out. But needless to say, with that ticket I would be very close to the stage. Anyway, I got to DiverCity relatively early, had lunch, and then hung out at Tully’s waiting for doors to open. I checked the goods on the website, and frankly nothing appealed to me at all, so I had no interest in the “early bird” goods table. At 5:30 pm, they didn’t line us up. Instead everyone was in this mass of people as they called people in one by one. That seemed like quite an ineffective way to handle the queue, but whatever. They also made you buy a drink ticket, which I thought was slightly lame considering the cost of the show ticket. 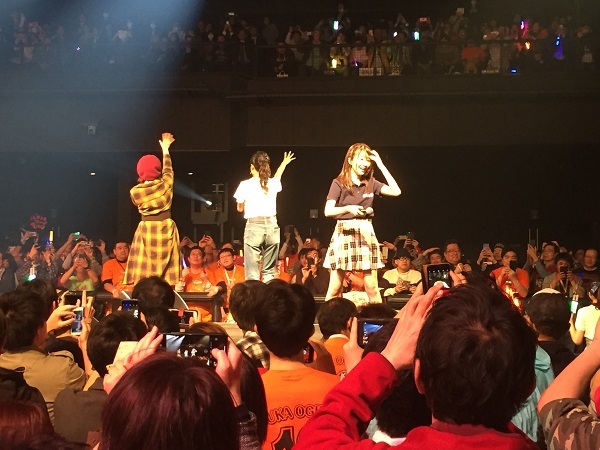 Oh, and the crowd was a sea of orange Ogino Yuka T-shirts. It seems like at least 1/3 of the crowd was there to see her. The only other performer I saw any evidence of a support group for was Yamauchi Suzuran. When I got in, they checked my bag. I ran over to the bar, and quickly grabbed a beer (took about 15 seconds) and then jogged in to get a spot. There was a walkway in the middle of the arena, so you could either go to the left side or right. Everyone was going to the right, so I took off for the far side, and got a spot right against the rail. Not really close to the center, but a good spot nonetheless. I mentioned a few of the members who were performing. Let me give you the full lineup. 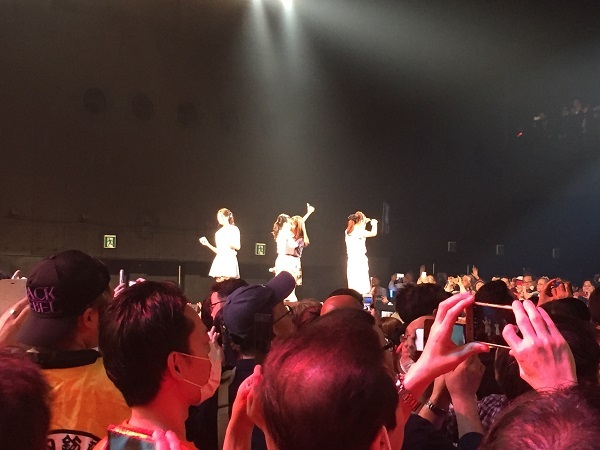 The majority of the performers were current and former 48-group members…. 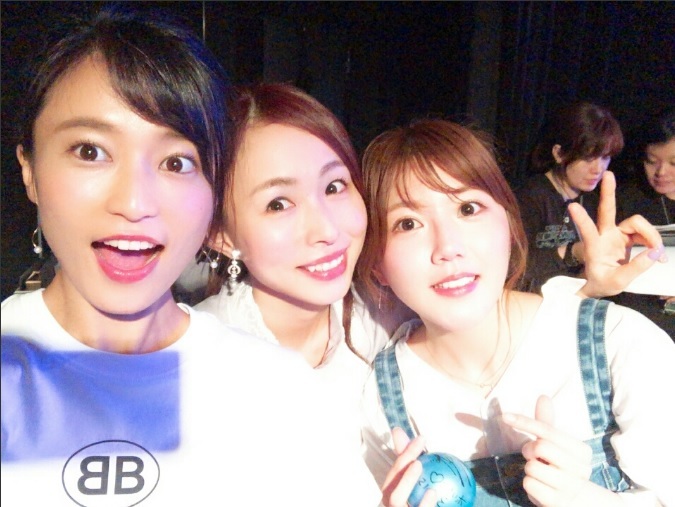 Current 48-group members were Myao, Suzuran and Ogino Yuka. 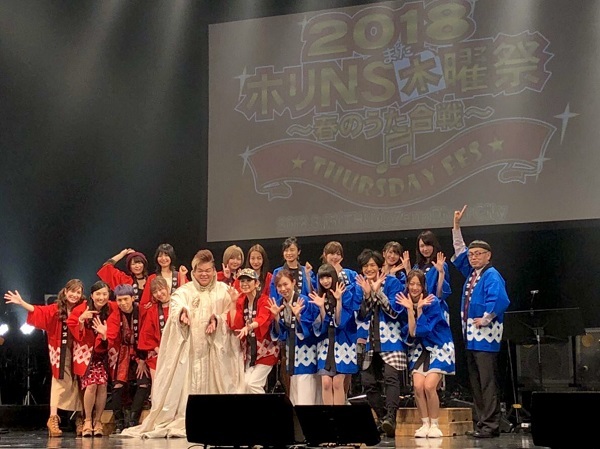 Graduates (other than MaiMai) were Meetan, Iwata Karen, Kasai, Tomochin, Harukyan, and former Nogi member Nagashima Seira. Ishida Anna was supposed to be there, but ultimately wasn’t. I didn’t read the reason for her absence, but I was kinda bummed out about it. 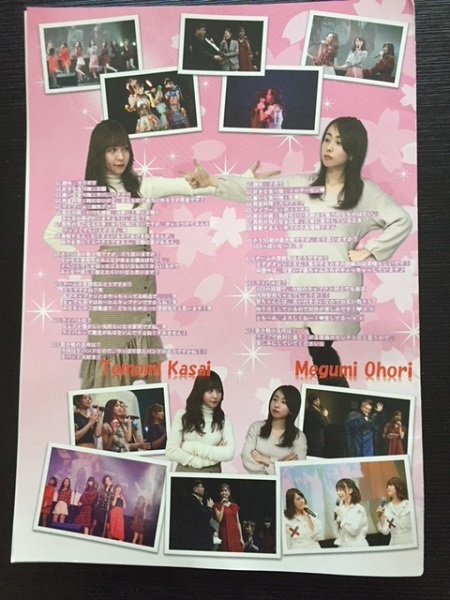 This was a “Spring Song Battle,” and the performers were put into two teams, red and blue, captained by Meetan (blue) and Kasai (red). The members chose teams by picking balls out of a box, which was shown via VTR at the beginning of the show. 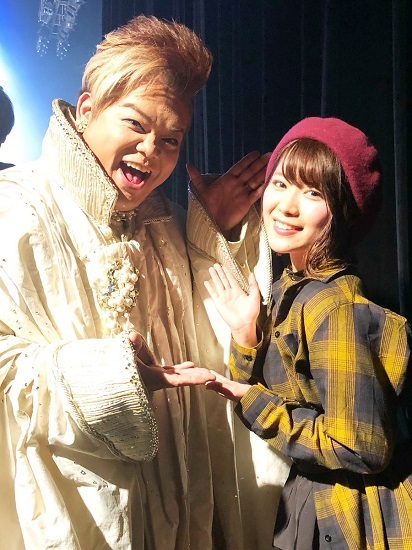 BTW, Anna WAS in the VTR, which made it surprising not to see her performing. Also, Kasai had some sort of throat condition, and was not allowed to speak. Instead she carried an art book with pre-written lines in it. As for their outfits, all Team red members wore some kind of red themed outfit, while the blue team wore blue or white attire. 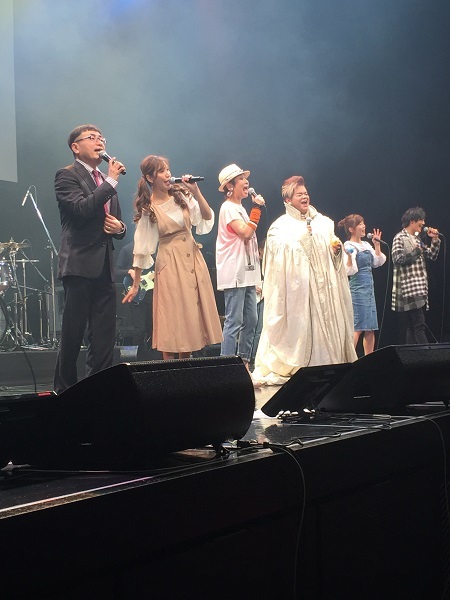 The first half of the show featured members singing songs in various pairings and groupings. Interestingly, the Horipro members all have varying degrees of skill when it comes to singing. I’m a Meetan fan, but I am painfully aware that she is an awful singer. There was really no one among the 48-girls here who is an exceptional singer. Karen probably comes the closest, and Myao is surprisingly decent. Ranran’s not bad either. On the other hand, the other talent really carried the show, singing-wise, especially Koso and Uedo. Oh, and Okamoto Tomotaka, well…. This guy is amazing. He is billed as a classical singer. He’s gigantic, towering over everyone in the group. Also, from shoulder to shoulder he looks like a human wall. Couple that with the long and flowing gown he wears, he is quite the site. And, his singing is incredibly powerful, which is even more surprising considering he is a Soprano. He did a duet with Ranran that for me was probably the biggest highlight of the show. It was nice to see the graduate members, and most of them looked for the most part the same. Iwata has the short blonde haircut, which is quite cute on her. 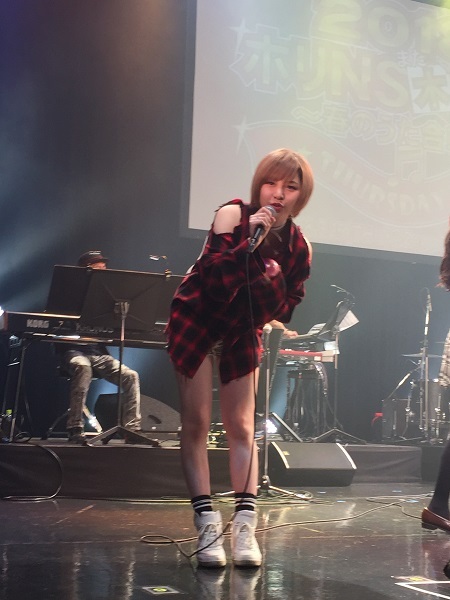 However, I did not recognize Kasai when she first came on stage. Her entire face looked completely swollen. Now it IS possible that whatever her ailment is might be affecting her face, since I didn’t notice this in recent photos. Moreover, the rest of her body looks fine, so it isn’t like she is putting on a lot of weight. But yeah, she looked different. Meetan, on the other hand looked really good. I like the short top w/side-ponytail look on her. As for the non AkiP-Idols, the one that stuck out the most for me (aside from Okamoto) was Kojima Ruriko. Let’s just say she has a slammin’ figure. It was fun to watch the non-singing idols trying to perform AKB songs. 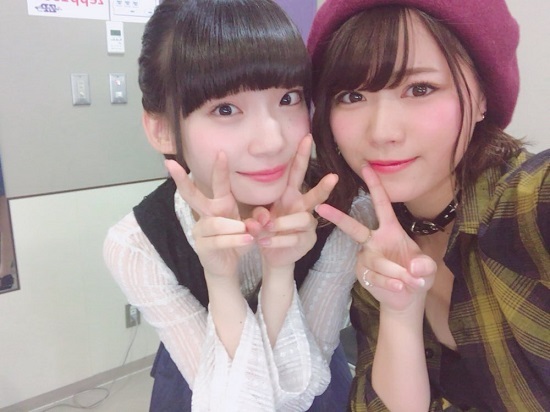 One of them commented (I think it was Hamaguchi) that after performing these songs, she had a newfound appreciation for the work if idols. The end of the show was 1) the vote, and 2) the photo-op portion of the show. 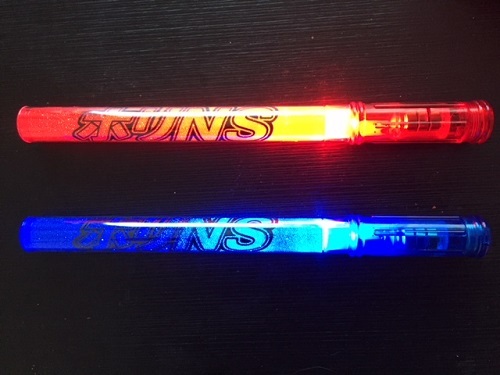 We were all given a red and blue glowstick to use during the show, not only as a cheering tool, but to ultimately vote on who won the battle. In the beginning, my glowstick refused to work properly, but after smacking it a few times, I finally got it to light up and stay lit. I was in a quandary, since I wanted to vote for Team Meetan, but I was standing against the Team Red side of the stage, so they would clearly see me voting against them, including Tomochin. But what the hell, I voted for Team Blue anyway, and we won. Yatta! It was pretty much a given since Ogino was on the blue team. But it was close, there were a lot of red sticks too. I was looking forward to the photo ops, but ultimately was disappointed in the way they carried it out. In other shows I have been to, when they offer this benefit the performers will move around the audience to meet more people. However, in this show they stayed stationary throughout the song, I ended up with Iwata Karen right in front of me, so I got lots of great closeups of her. 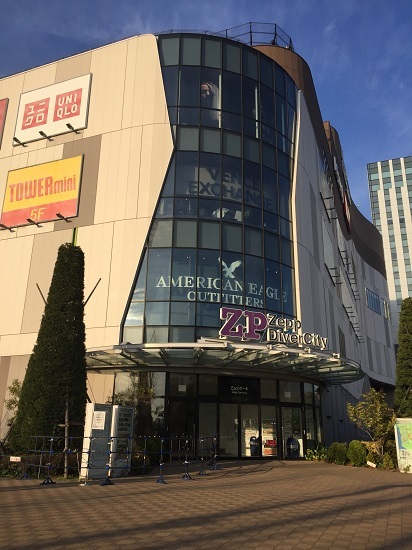 But Meetan and Suzuran were far away from me, so I didn’t get any photos of them. Bummer. After the show there was a promised High Touch. A couple of the older non-48 group related performers didn’t participate. It was quite a line, and you were pushed through fairly quickly, but I was sure to pause when I got to Meetan. Actually, I saw her eyeing me from when I got about three away from her too. I also got nice reactions from Ranran, Tomochin, Iwata, and the Nogi girl Nagashima, who started speaking to me in English.